New year, new calendar, new important dates to add…grab your calendar so you don’t miss out on any of the new fun-draising events for the year. 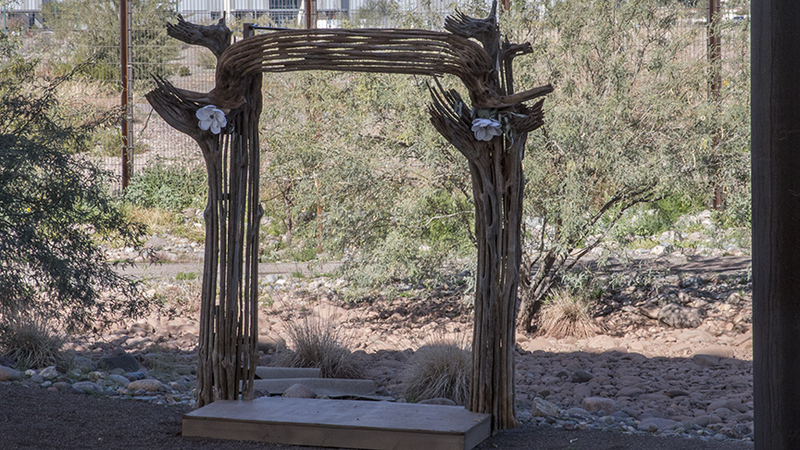 Use this blog as a “save the date” opportunity. 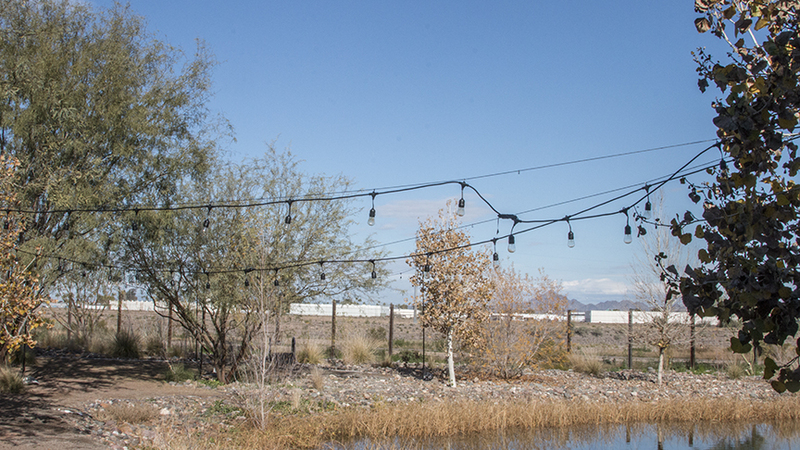 On February 24th , we are featuring our next event in the Sippin’ the Spirit of the Southwest series. Detailed information is included at the end of this blog. Our Wild Ones Orphan Shower takes place on March 9th from 10:00 to 1:00. 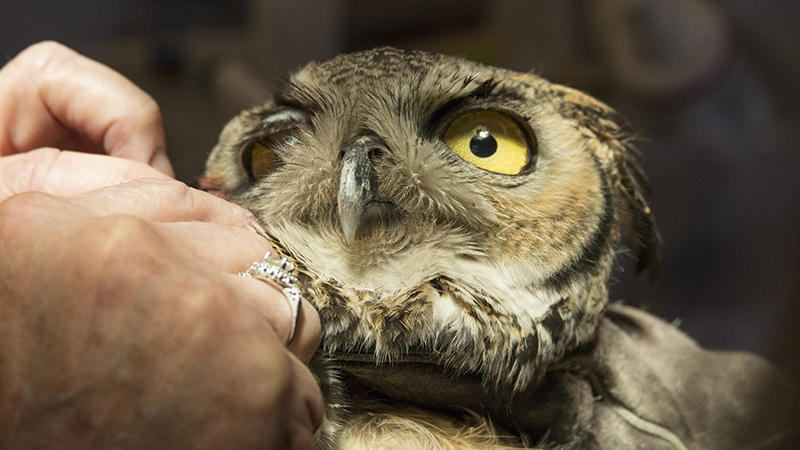 On May 4th , we will be presenting a Wine with Wildlife event from 4:00 to 7:00. More information will follow on these other events as well as a couple of not yet scheduled events including a Wildlife in Art event and an evening run. We have a monthly speaker series that highlights our educational topic for the month and a free monthly movie night that also explores the featured topic of the month. If you check our website, you can get more timely details. We appreciate your support of these events. It allows us to fulfill our mission. The intake total for the year is now up to 94. 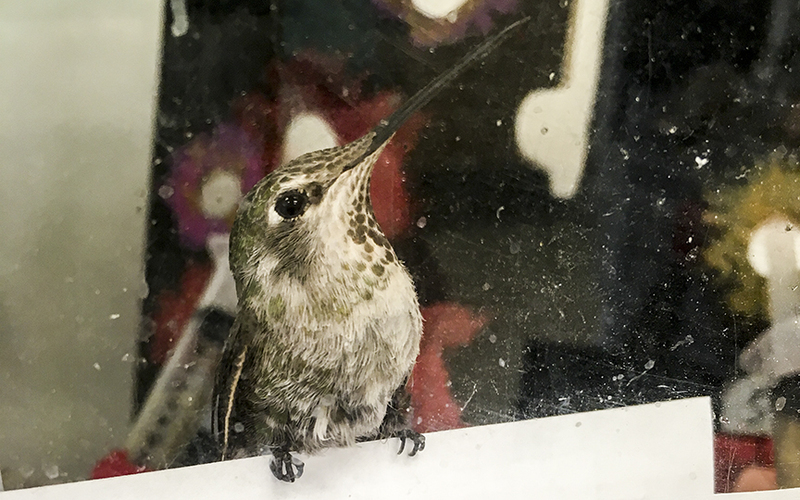 As noted in the last update, hummingbirds are among the earliest species to arrive each year. This year is no exception as these two little patients came in recently. Most of what we get in are of the Anna’s type with a few Costa’s thrown in. During the first cold snap. many of the ones that show up here are merely in torpor and after some time in a warm brooder and a little high octane nectar, they are good to go! 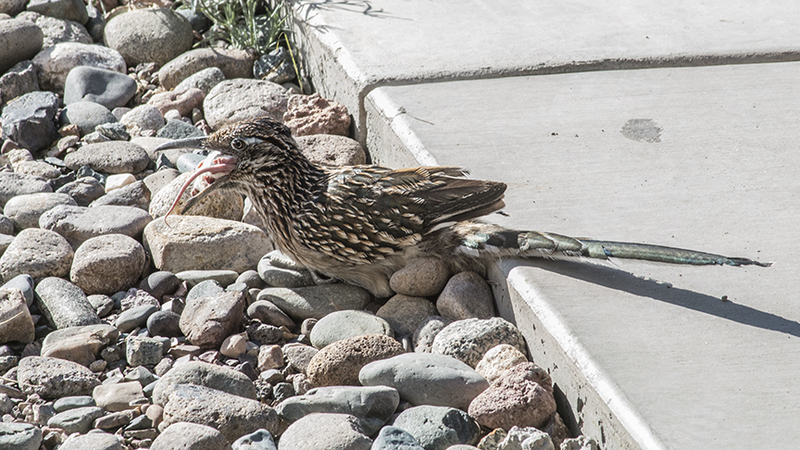 You might remember at our old facility we had a gimpy roadrunner that set up housekeeping near the feeding station out front. 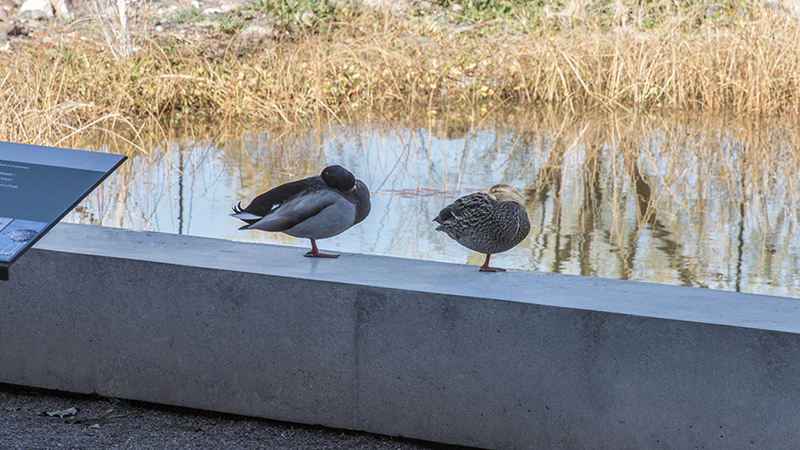 He would hang out while the education birds were being fed each day, waiting for some scraps to fall to the ground. The hand feeders took to tossing him a spare mouse every so often and he learned that he could rely on Liberty for a free meal. 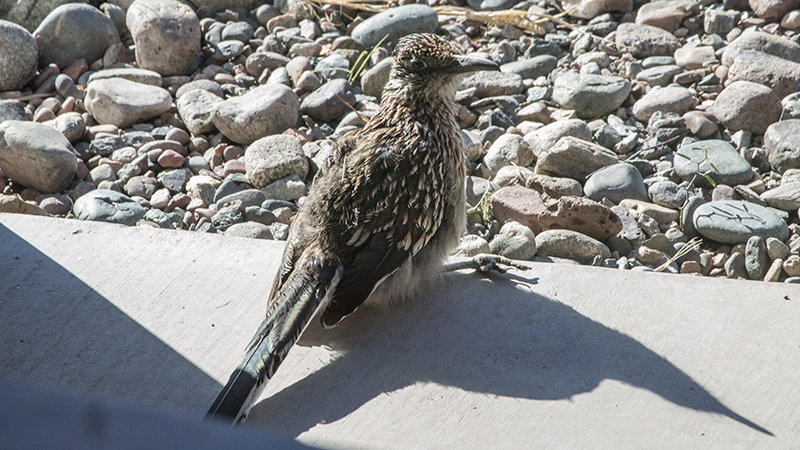 Now, we have another greater roadrunner with an obviously broken leg that has shown up at our intake window. He is also being periodically fed since his ability to keep his crop full on his own is somewhat compromised. His leg has healed on its own so if we caught him, there’s nothing much we could do for him. 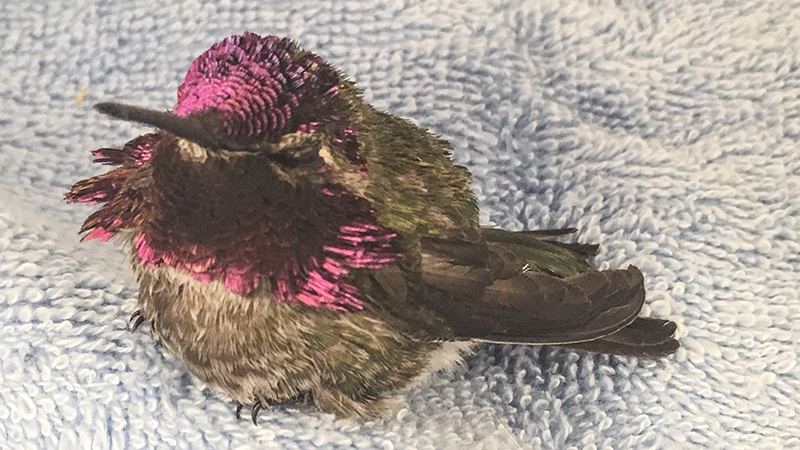 As long as he has adapted to his present situation, we decided it was best to just leave him alone to survive on his own terms. “Hop Along”? “Stumpy”? Call him what you will, he’s a fixture at the window. 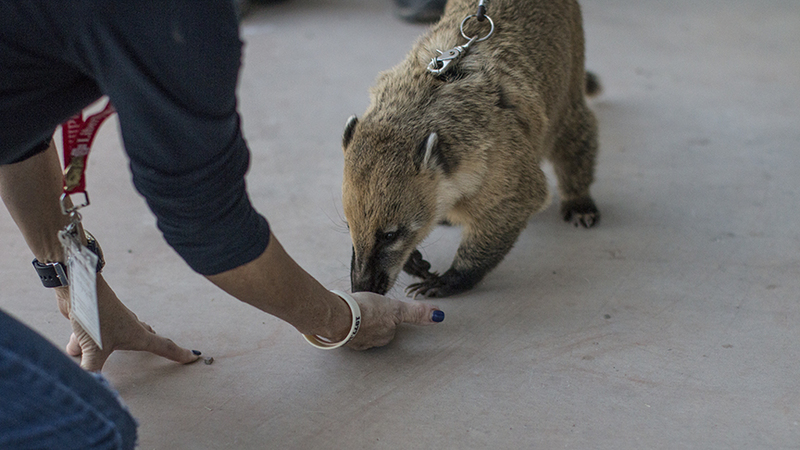 Our coatimundi, Groot, is still in training for doing education displays. 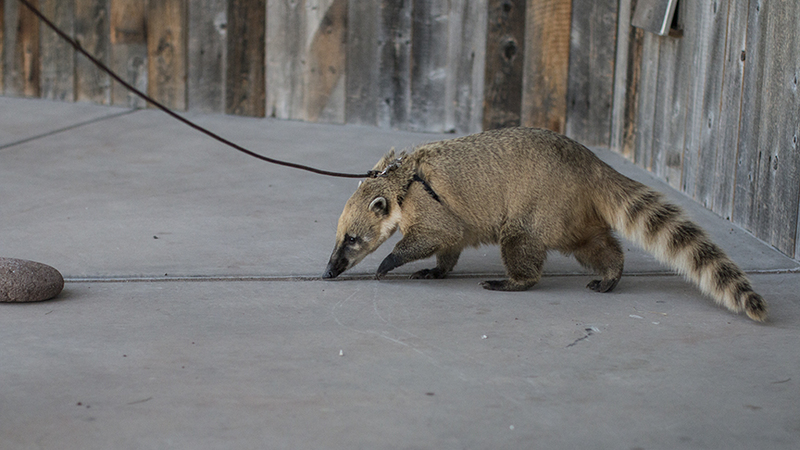 Laura Hackett has been taking him for morning walks around the compound for both exercise and getting him better socialized for the future. A few select volunteers have been joining in the training and will make up the “Groot” team when he is ready for the public. 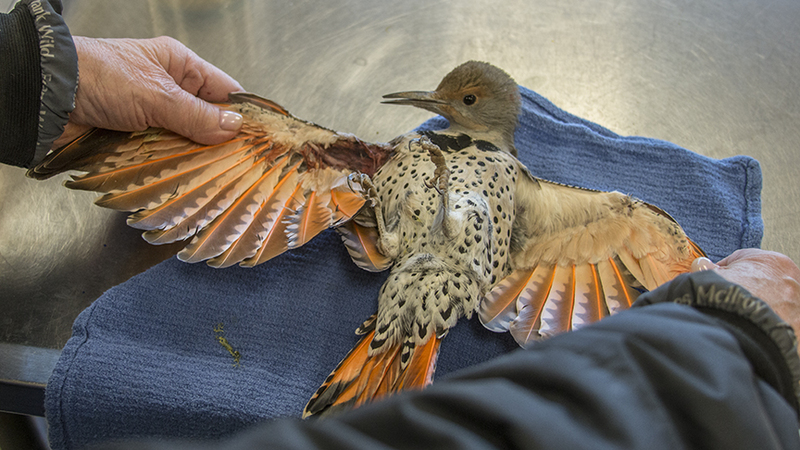 This northern flicker arrived not long ago, presenting an injured wing. 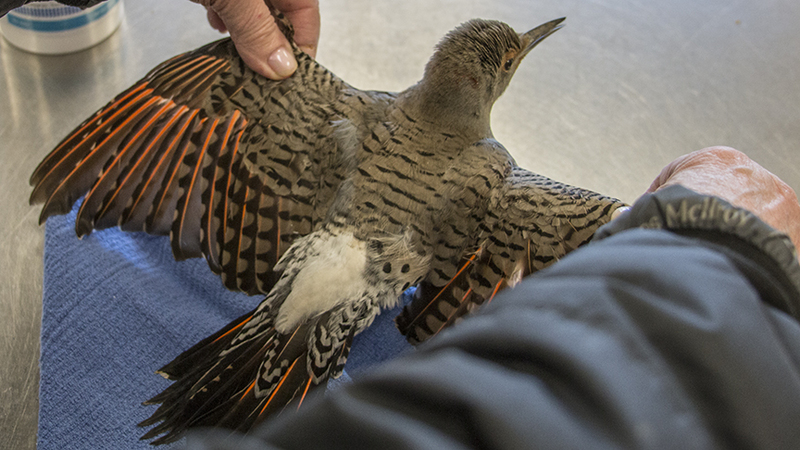 These are particularly beautiful birds whose feathers are highly sought after by native Americans through the Non-Eagle Feather Repository program. It’s fairly easy to see why this would be from these two photos. Thanks to every one who worked on the event and who donated substantially to our facility! 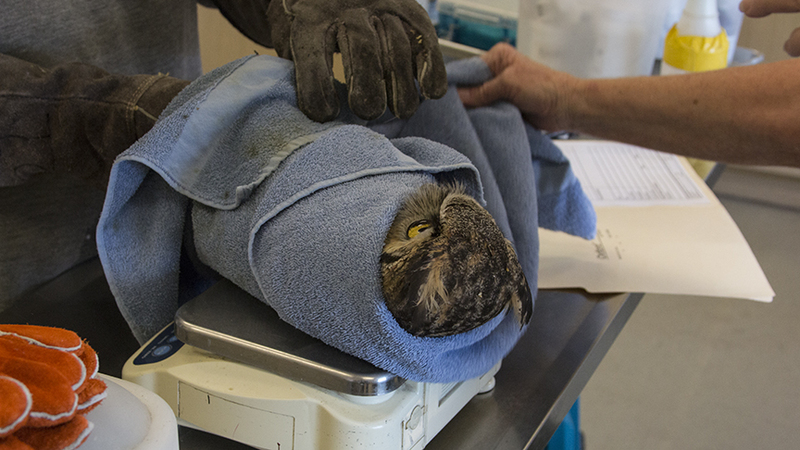 A pretty great horned owl was brought in by the public this week. It was reported that he flew into the side of a building and this would be consistent with his presentation. 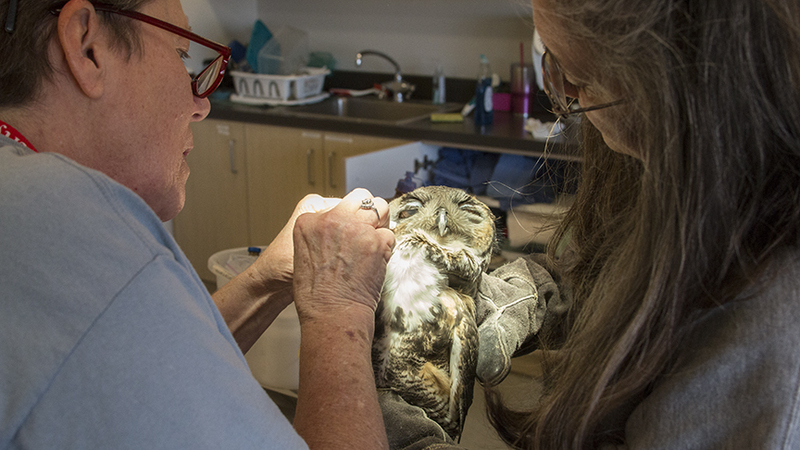 Lane and Lilly performed the initial assessment including getting his weight and cleaning obvious wound damage. This is the first of what will undoubtedly be many more GHOs this year. We have some fairly recognizable birds that we use for education, including a couple of famous eagles. We have one bald eagle that rides on the Verde Canyon Railroad once a month making Sonora the only train riding bald eagle in the country. 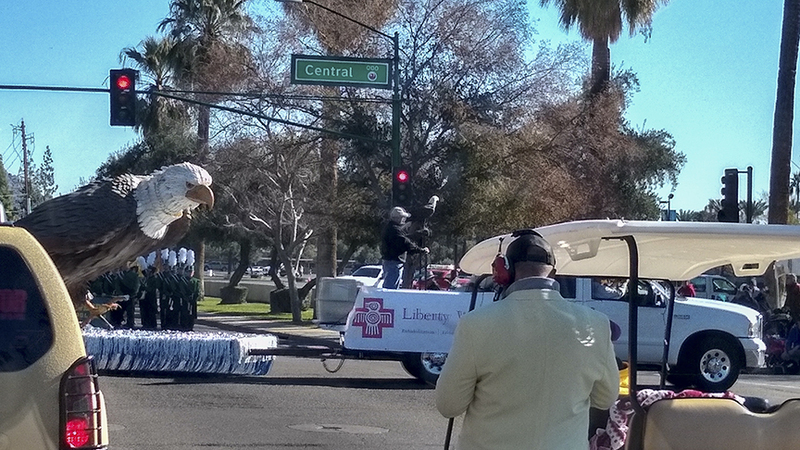 And then there is Aurora, seen here riding with Joe Miller in the Fiesta Bowl Parade! This was great exposure for both Aurora and Liberty as the event was televised to a national audience. Thanks for the updates on the animals that came in recently and I really do enjoy the pictures of all those that have been saved.